"For a fast meal, I like the kids to eat the chickenless chicken nuggets from Trader Joe's®. 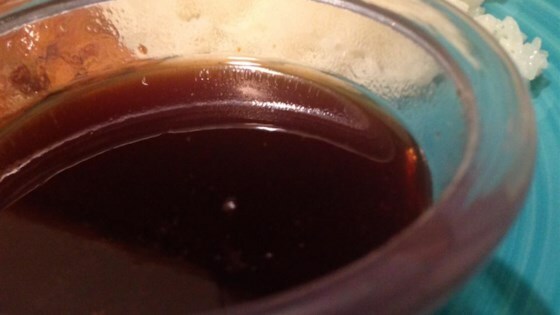 Here's a tangy sauce to go with it, or gyoza, or dumplings, or..."
Combine honey, soy sauce, vinegar, ketchup, and sugar in a small saucepan over medium heat. Cook and stir until sugar dissolves and sauce is heated through, about 5 minutes.